The book is an embodiment of result emerging from the practical study of the Aorist system of the Veda, one of the most Complicated parts of the Vedic language, in a comparative manner : the way it is taught by Panini and the way its formation is explained by the modern Western scholars like Whitney, Macdonell. This work, it is hoped, will clearly bring out the difference between the two methods. It will be shown that while Panini has successfully described the broad features of the formation of the Aorist in general no small achievement in those early days, he had to ascribe many apparent anomalous features to the ‘waywardness’ (bahulam) of the ancient language. One the other hand the modern Western scholars had the advantage of comparing the Vedic with allied languages like Greek and Latin and thus arriving at a rational explanation in many cases. In this work sincere attempt is made to point out both Panini’s excellences, probably based on intuition, and the lacunae in his system for the lack of information over which he had not control. Be it as it may, this work it is hoped will improve our appreciation of Panini as an analyzer and describer of the Vedic language. Prasad P. Joshi obtained his M.A and Ph.D. 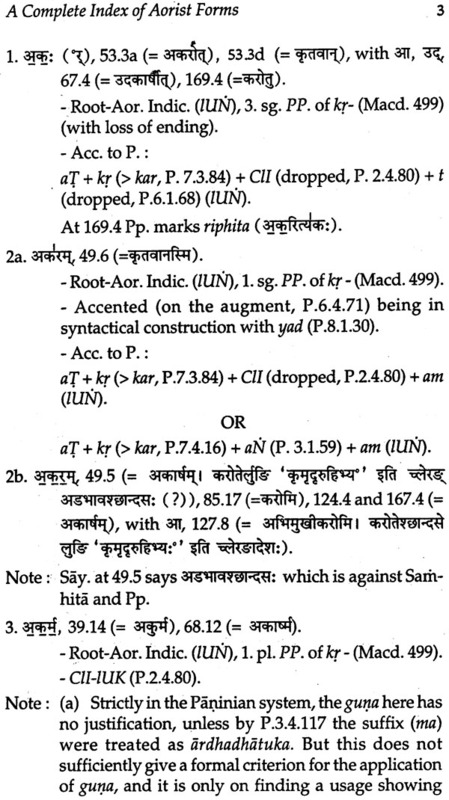 Degrees in Sanskrit Grammar from Tilak Maharashtra Vidyapeeth, Pune. Being M.A in English and M.A. in Linguistics, he also qualifies the title Sanskrit-Cudamani of Vedashastrottejak Sabha, Pune. Joshi worked as Editorial Assistant in the Sanskrit Dictionary Project of Deccan College in Pune (1993-2006). Presently he is Lecturer and Head of Sanskrit in Fergusson College, Pune. The object of the present work is to study the formation of the verb-forms of the Rgveda in a comparative manner: way the formation of the Vedic tenses and moods as taught by Panini and the way their formation is explained by the modern Western grammarians (like Whitney, Macdonell). 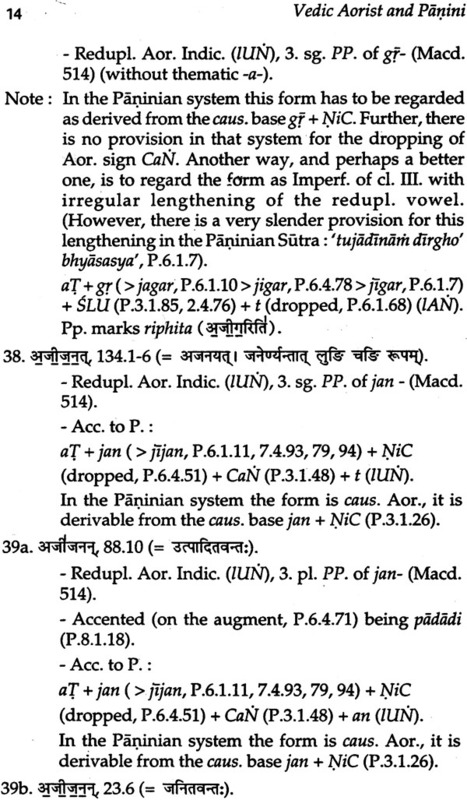 It is now generally accepted by modern scholars that Panini’s treatment of Vedic grammar is not so thorough and satisfactory as that of the Classical Sanskrit (for this, of course, there may be many reasons like the change the Classical Sanskrit has undergone as compared with the Vedic, which latter had become comparatively unfamiliar even to the learned people; and, moreover, the absence of facilities like comparison with the cognate languages like Greek and Latin in the case of Panini). 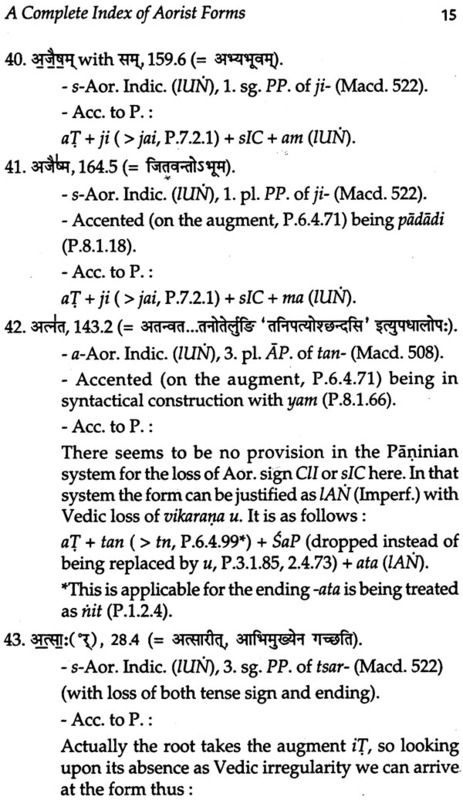 Instead of coming to grips with the tough forms of Vedic grammar, Panini has, very often, tried to explain away the apparent anomalies by just referring to the archaic form of the Vedic language (chandasi bahulam and so on). One of the aims of this work is to attempt to provide a rational explanation for the apparent anomalies’, and, in a way, to ascertain usefulness of Paini’s grammar in the Vedic interpretation. The present study is a sort of continuation of the work was undertaken by the Centre of Advanced Study in Sanskrit (Pune) on the present topic and whose results are embodies in Verbal Forms of the Rgveda (Mandala VI), by Prof. G.B. Palsule, pub. 1978. Some years back Dr. Shailaja Katre worked on the 2nd Mandala of the Rgveda on the same lines and the results have been more or less similar. This time I have introduced a variation. I have selected Mandala X for this study, but instead of studying forms of all tenses arid moods, I have restricted my investigations to the tense-and mood-forms of the Aorist only. 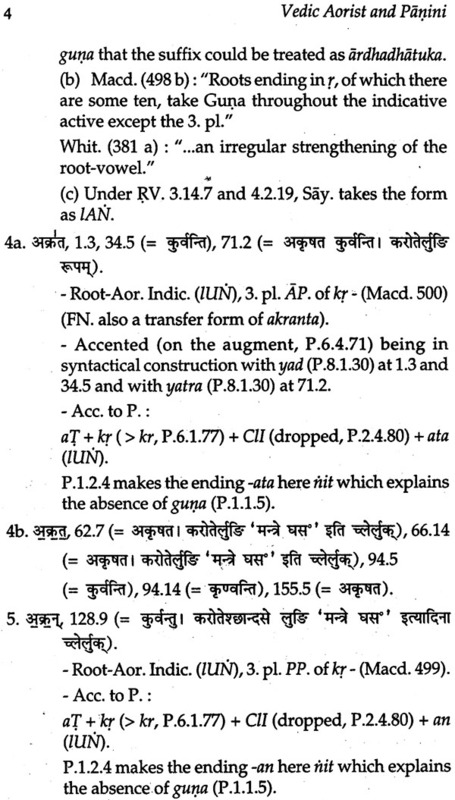 The verbal system occupies an important place in the structure of Sanskrit language. In that system the Aorist has gained a special importance due to the seven varieties of its formation. It is of frequent use in the Veda* and shows certain features of meaning also. 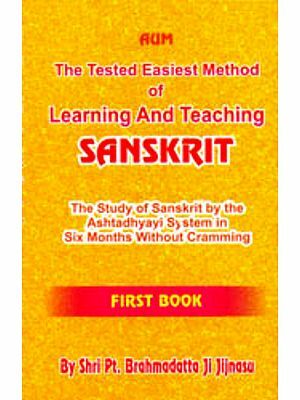 Its meaning has undergone a change in the different stages of Sanskrit language. In very early times (the late Indo-European) the Aor. probably denoted momentary action (such as the ‘starting’ or the ‘completing’). In other words it was restricted to the roots which denoted a momentary action. In the Rgveda it normally denoted past in general, but often it denotes recent past. This meaning was prominent in the Brahmanas also (e.g. the Sunassepa story in the AitBr. ), whereas in the Classical Sanskrit it denotes past in general. Hence, the selection of Aor. forms for present study. The reason for selecting Mandala X is that it is commonly admitted that it is a later addition to the Rgveda (as compared with the other Mandalas) as suggested by linguistic, social, geographical etc. differences with the family Mandalas. So there was a curiosity to see whether the results correspond to those of the earlier studies. The work is divided into two parts. It consists of all the Aorist forms occurring in the Mandala X of the Rgveda, arranged alphabetically. Each form is described completely, often in its paraphrase by Sayana, its identification by Macdonell and the applicability of Panini’s rules to it, accompanied by notes where necessary. It consists of the observations emerging from the part I. Index: Root-wise sorting of the Aorist forms. Aorist forms peculiar to the Rgveda Manala X. 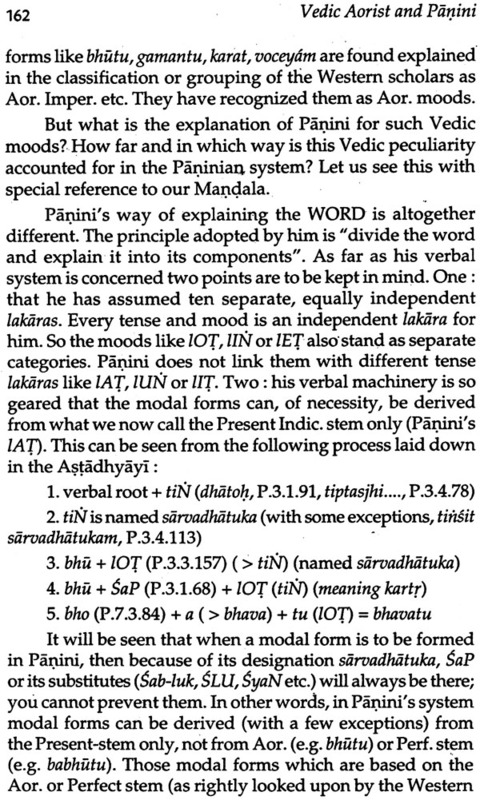 This work, it is hoped, will clearly bring out the between Panini’s method of describing the Vedic language particularly the Aorist-verb system as far as the present work is concerned, but certainly one of the most complicated parts of the Vedic language and the one followed by the modem Western grammarians. It will be shown that while Panini has successfully described the broad features of the formation of the Aorist in general no small achievement in those early days , he had to ascribe many apparent anomalous features to the ‘waywardness’ (bahulam) of the ancient language. 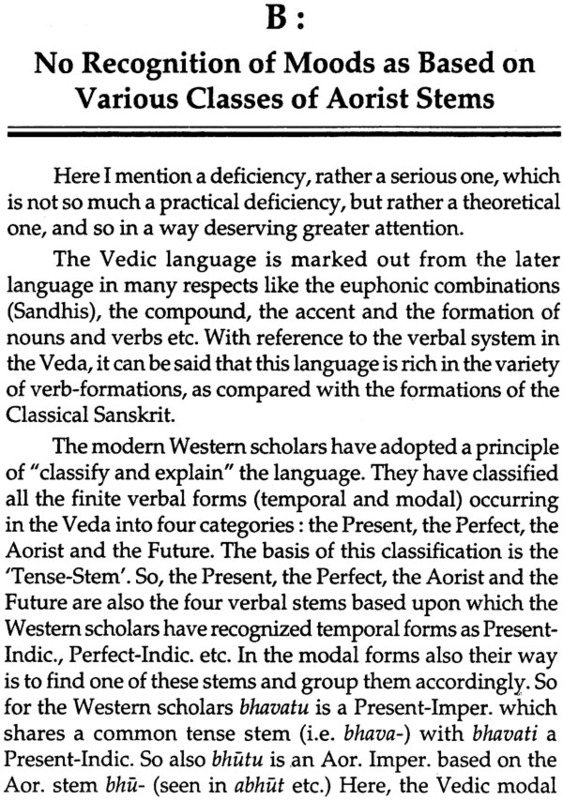 On the other hand the modern Western grammarians had the advantage of comparing the Vedic with allied languages like Greek and Latin and thus arriving at a rational explanation in many cases. This work, it is hoped, will point out both Panini’s excellences, probably based on intuition, and the lacunae in his system for the lack of information over which he had not control. Be it as it may, I hope that the present study will improve our appreciation of Panini as an analyser and describer of the Vedic language. The present work is a version of my Ph.D. Dissertation submitted to Tilak Maharashtra Vidyapeeth, Pune in 2001. I express my deep sense of gratitude towards my guide late Prof. G.B. Palsule, who is indeed behind the success of this work I am and will remain indebted to him for the encouragement and every type of guidance he has given to me during the course of this work. I take this opportunity to express my sincere thanks towards Prof. S.S. Bahulkar, Director of Shri Balmukund Lohiya Centre of Sanskrit and Asian Studies, TMV. for giving me the opportunity to study in the Centre. Similarly towards all the authorities of TMV. for granting me the permission to publish the Ph.D. Dissertation. I am thankful to Dr. V.P. Bhatta and Pandit D.B. Polkam, Deccan College, Pune for the constant encouragement and variety of information which they have been always giving to me voluntarily. Lastly, I must not forget Mr. Ravi Mathotra, Eastern Book Linkers who has neatly printed this work of a complicated and technical nature and published through his esteemed agency.